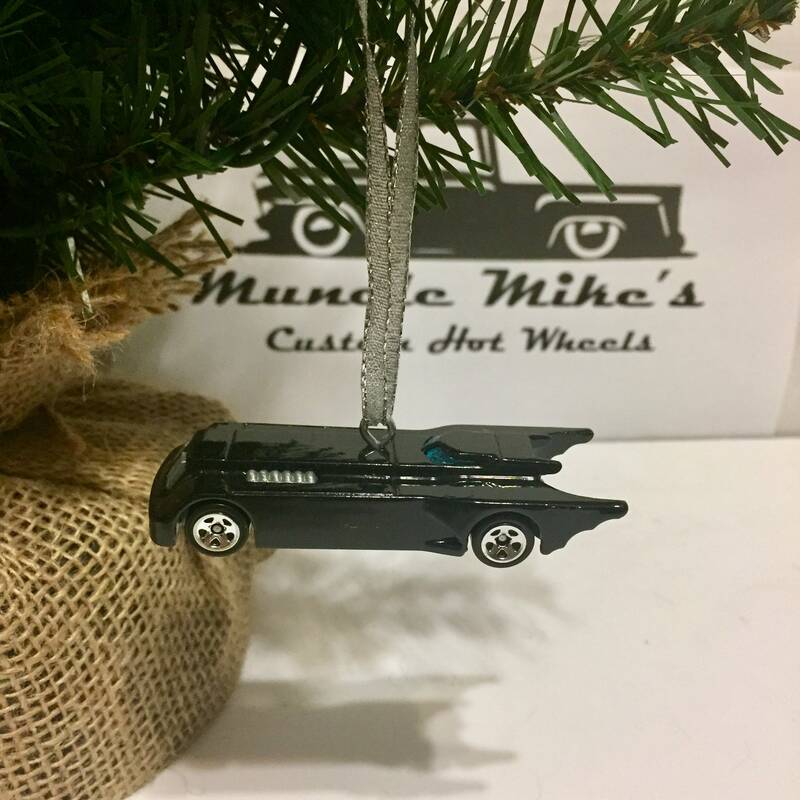 Custom Hot Wheels Batman animated series Batmobile Christmas ornament in black. Can be made into keychain as well. Cars may have minor factory defects as received from the manufacturer.